Children with a diagnosis of Autistic Spectrum Disorder (ASD) can present with very different levels of achievement, language development and ability to learn self-help skills which enable independence in adulthood. They are all distinct individuals. The diagnosis of Asperger's syndrome is also a part of the Autistic Spectrum diagnosis. Each child has its own complex mix of difficulties and usually all the Key Infant Reflexes are involved. 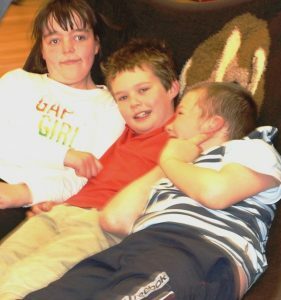 The parent stories below are a small sample of this interesting, diverse group of young people, all with Autistic Spectrum Disorder (ASD). You may like to read the report about the Brainchild parent and child groups: Impact Evaluation of the NAS Furness Brainchild Project . Children who were unable and unwilling to be close to others, or even in the same room, became friends. Communication developed and many fears and anxieties faded away. Each child benefited in different ways, but solving the developmental nature of the problem released their brains from the limitations of infant reflexes. It was a uplifting experience for us all. 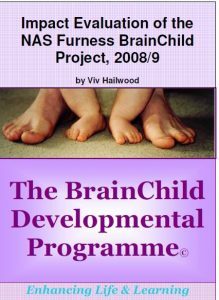 The BrainChild Programme has provided a very helpful and enjoyable series of sessions that have had very positive effects on our child’s development.